Yesterday I had a photoshoot for my aBree Original Winter 2013 clothing collection! This is one of the tops from that collection. When I found this fabric I fell in love!! The gold polka dots were calling my name. Since I hadn't found a peplum I loved I thought, why not make one?! So that is how this came to be. Here is how it was styled for my runway show in February. Thanks for supporting my blog and my designs! I really appreciate all the love and support I feel from you. Happy Thursday! Linked with Friday's Fab Favorites! I love it! I can't wait to see the rest! Where did you get that fabric? New York? It's beautiful! Thanks Natalie! Yes, New York, a couple years ago... I fell in love with it! Wish I would have bought more! 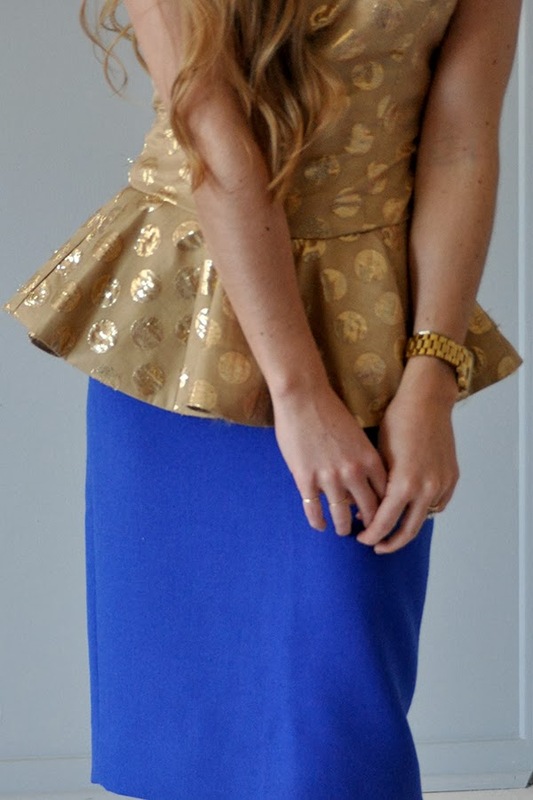 This peplum top is gorgeous and I love the shoes!